It seemed like a perfect fit. 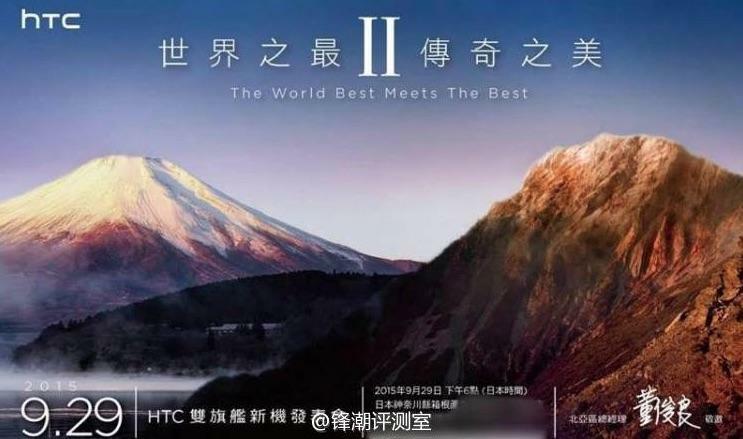 Just as rumors of the HTC One A9 began to pick up steam, the company sent out invitations for an event on September 29 in Japan. However, a new report suggests the upcoming announcement won't include the highly anticipated new smartphone. According to Twitter tipster @LlabTooFeR, who seems to have inside access at HTC, the company will focus on two other devices at the September 29 event. Instead of the One A9, we may get an updated version of the One M9+ and a Chinese variant of the Butterfly 3. The original invitation promised two new devices, suggesting we won't see a third new handset unveiled by the firm this month. However, HTC could have one more bit of news in store. The event could also pave the way for the HTC Desire EYE to finally launch in Japan. We're still hoping HTC will at least mention the rumored One A9 at its event later this month, but it makes sense that the company would save that news for another day. If the device really is a global flagship phone, it's more likely to debut onstage in New York, San Francisco, London or at a big global trade show. In the meantime, it looks like the Taiwanese phone-maker could have some slightly less exciting news to share on September 29.